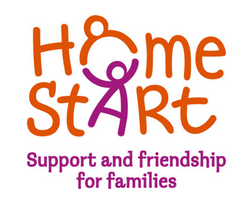 Home-Start offers families one-to-one support from a volunteer who visits the family in the family’s own home, usually once a week. We also have an International Parents Support Group which meets every Thursday at The Courtyard. Parents of primary school children (under 12 years) are welcome to come along and discuss issues that are concerning them. This is a very friendly group and all nationalities are welcome to call in anytime between 9am and 11:30am to meet with other parents. Pre-school children welcome. Come and join us for a cuppa and a chat!